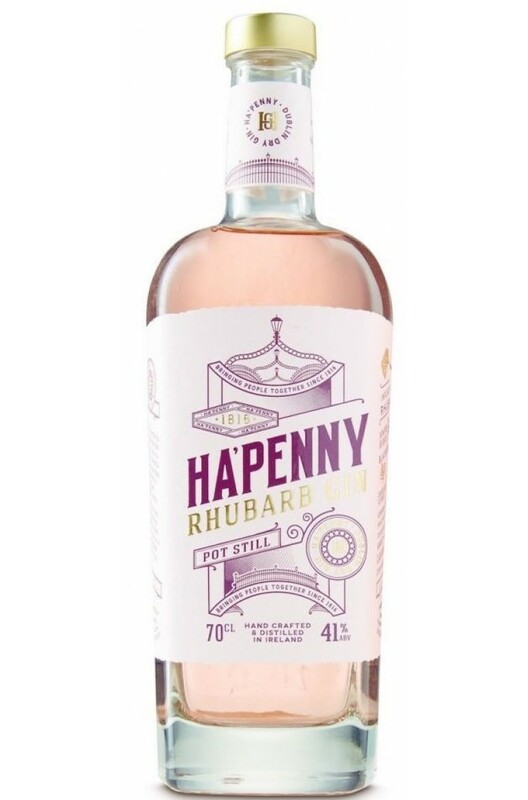 The 2nd release to come from Ha'Penny Gin, the Ha'Penny Rhubarb Gin. A Single Pot Still gin that has been infused with the finest rhubarb and thirteen other specially selected botanicals; juniper berries, blackberries, Dandelion flowers, lavender, geranium, orange peel, lemon peel, cracked black pepper, anise, angelica root, liquorice bark, cassia & coriander. Aromas (without water) Fresh Rhubarb bouquet with discernible notes of juniper and citrus followed by subtle hints of botanical spice. Palate (without water) Initially fresh rhubarb with a bright botanical mix, rounding to a pleasant, classic resinous juniper forward gin. Serving Suggestion Serve with premium tonic, a wedge of orange and lots of ice. The Ha'Penny Gin Bauble Gift Set includes gin baubles of both Ha'Penny Dublin Dry Gin & ..